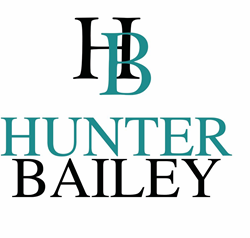 Despite numerous reports stating that millennials are lazy, entitled and a weak addition to the working world, sales and marketing firm Hunter Bailey has stood by the generation and always believed millennials to be a robust workforce. Hunter Bailey states that businesses in many sectors can benefit from hiring millennials, as they are eager to overcome their negative reputation, with recent research supporting this. Hunter Bailey is Sydney’s leading force in direct marketing. With a focus on entrepreneurship and customer service, the firm continues to go from strength to strength. The company’s massive success over 2017 has in part been driven by the sense of passion and commitment by its mostly millennial workforce. In many industries, the millennial generation is often reported as a drain on the business sector, with tendencies to produce less work, never participate in overtime and quit working life entirely once they have acquired enough money to support themselves. However new research has found drastic evidence that disproves this theory, with Hunter Bailey supporting the surprising findings. Recent research by 747 Insights and Collaborata has found that 57 percent of millennial survey respondents consider themselves to be hard workers, with many employers supporting this. The study similarly found that employees are willing to work hard for an employer who offers support, going beyond the 9-5 work hours to complete projects. Hunter Bailey agrees with these findings, crediting their millennial workforce in having an active hand in their recent business progression and success. This study goes on to suggest that the young generation has an “unwavering support for an employer they can believe in,” Hunter Bailey is keen to fulfil this belief and constantly offers training and professional development opportunities for its committed young professionals. The firm supports the statement by Michael Wood, president of 747 insights who states “to attract, keep, and engage millennials, a company must "have a deeply compelling vision.” Hunter Bailey is urging other companies in the industry to consider millennials during their next recruitment drive, allowing the generation to disprove common misconceptions for themselves.